At DutchCrafters we offer top outdoor furniture handcrafted from pressure treated pine wood and stainless steel hardware. Customers also have the option of adding the water sealer stain to our pine wood furniture. 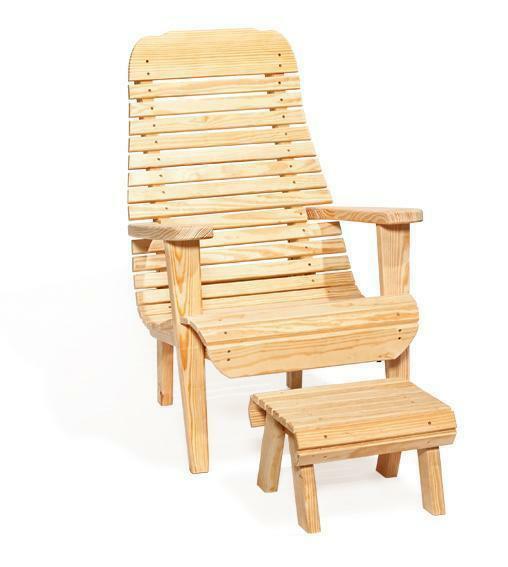 All of our pressure treated pine wood furniture is proudly made in the USA by an Old Order Amish craftsman. Call with questions on our Amish easy chair.